I have a rainsong jazz guitar. It's brilliant. Two emg mags and a piezo in the bridge. Typical L5 type shape. Not particularly slim or light though. Not strictly CF... but Flaxwood produces guitars "from a natural fibre-reinforced thermoplastic through a patented injection moulding process". Check out my music on Spotify! It is made from a carbon fibre/glass/epoxy composite material that is thinner than the paint finish. The same composite also comprises the fretboard material. I would assume that they would be relatively immune to changes in humidity and temperature compared to a traditional electric guitar, as the wood body and neck are enclosed by the finish. Give Rob Green @ Status a call, he's a nice guy. I owned a couple of his CF basses back in the day, and always got compliments about their tone from producers. Rob's instruments, were at the time, the only alternative to Steinberger. Other companies had fooled around with CF necks, but Ned Steinberger was the first to produce an all CF composite instrument? ...and your 'assumption' would be correct. This has been an incredibly informing thread. I had no idea that there were so many CF electrics loose in the world. The thread also reveals the limited nature of my preference. I've played many of the electric types noted, in their wooden form, but have come to prefer a type not generally mentioned in this thread, a minor byway, a thin, hollow-bodied instrument. 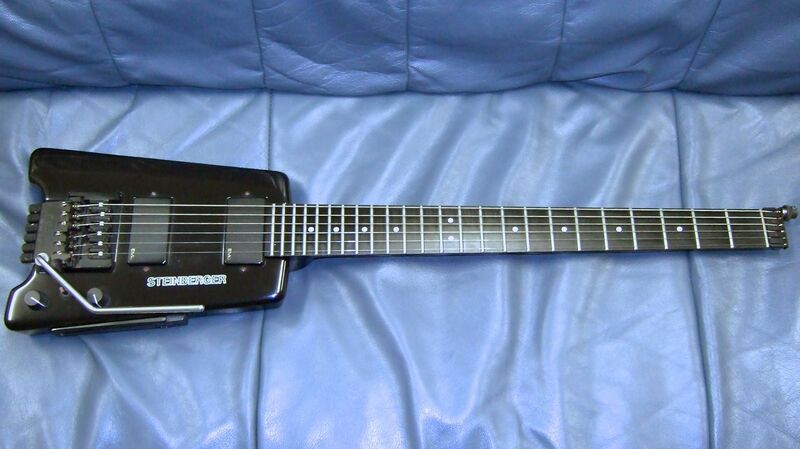 My favorite all-time electric was the Danelectro U2. My thinking regarding the X7 thin-bodied electric produced by Emerald was somewhat based on my Dan experience. The U2 was light, but still had body. The 2 had a fast, easy to play fret board and simple but effective electronics. It appears, from this thread, that I may prefer a very small market preference. I know the Fibertone is in current production (their website showed up in another thread here, somewhere... and I'm sure it's searchable), and that they do custom orders. Not sure about the others. I really like the look of Taurr. Unfortunately, I'm pursuing nylon sound, so most of the electric guitars noted on this thread do not match my desire. 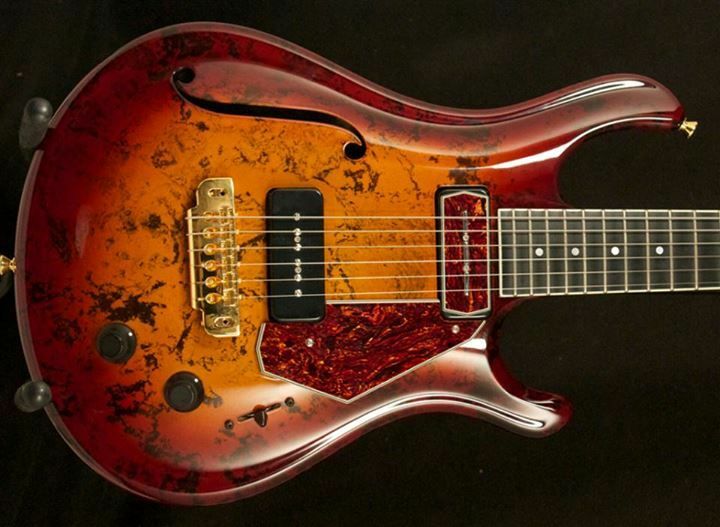 Not CF, but I could live with the Kirt Sand Mahogany Model with the Barbera pickup. I'd have to sell a bunch of guitars in order to come up with the $6500 price. I suspect a 1thin-bodied 10E would be a pretty close match to the Sand. I'm going to have start pressuring Alistair. Let us know how that "pressuring" thing works for you. I'll just tell Alistair that the order is from Kramster--might even get it personally delivered. I'll try begging and whining a lot at first. Other than that, I suppose money counts in Ireland. My experience with the Irish side of my family has been that begging and whining may get you something... but it won't be what you wanted.